"Who Is Your Favorite Celebrity Drawing Pencil?" 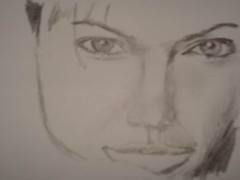 Wonder how to draw your favorite celebrity pencil drawing? 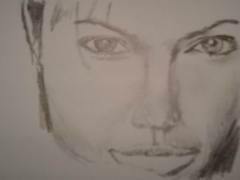 There are lots and lots of celebrities to choose and you can start to draw a woman celebrity like Angelina Jolie to have your celebrity pencil drawing. 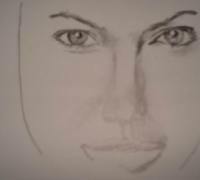 Okay, are you ready to learn how to draw Angelina Jolie in a simple step-by-step drawing lesson? 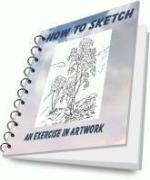 Click the video to watch a step-by-step drawing. Like any other drawing, you have to start from sketches first. 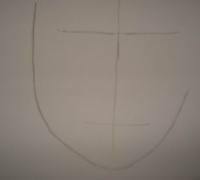 Use a sharpened 2B grade graphite pencil from your drawing pencil set. 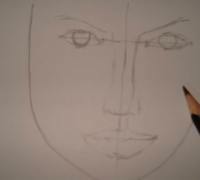 Start to draw a face. An easy way is to determine what is the shape of your subject. 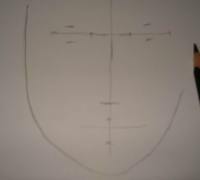 In this case, you can sketch an oval shape and placed a vertical line to position her face (tilt or facing to a side). 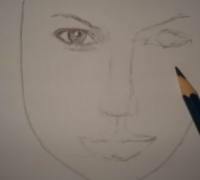 Then sketch two horizontal lines at the upper part (to position her eyes) and at the lower part (to position her mouth / lips). 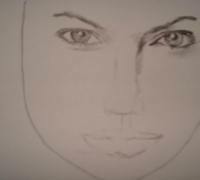 After that, you sketch small strokes to position the length and width of both her eyes, nose and mouth. You can see how you can do the way I did through the picture. 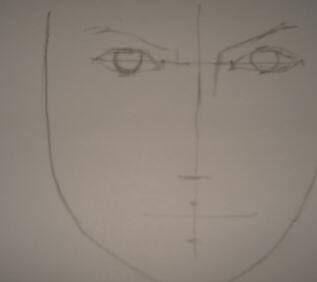 In this step, focus to draw her eyes. Lenghten the upper sketch from one end to the other end to position her eye lashes. Draw two circles below the eye lashes to represent her iris. Then raw her eye brows. 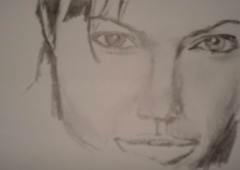 Continue to draw her nose and lips. Put a little bit of pressure on your 2B grade pencil to outline your sketch leaving your horizontal and vertical lines untouched. 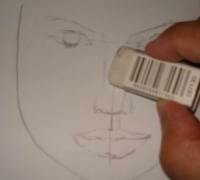 Gently erase unwanted lines by using a soft eraser. You can look at the picture. 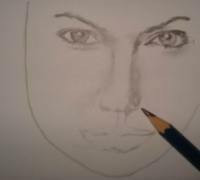 Take out a sharpened 4B or 6B grade graphite pencil and start toning her eyes. Start from your left if your are a right-handed person and vice-versa. Put special emphasize on creating light effects on her eyes. Start to draw her hair, put more pressure on creating her cheeks and make shadow on her left and right cheeks. Continue to draw her hair and her hand. Do final touch-up here and there. Get the idea? You can repeat the same process on any of your favorite celebrity. 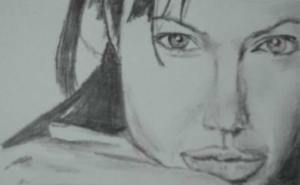 There are also celebrity drawing pencil portraits which are available for you to have them printed on canvas. Did you know that you can have all these poster printed on various items as gifts for your someone special? Learn more on how to have your personalized gift, for example, gift for kids as your special gift to them. Found Your Favorite Celebrity Drawings? Why not share it to the world! Chris Brown by Jerry La Vigne Jr Cool Chris Brown pencil drawing portraits by Jerry La Vigne Jr.
Return from Celebrity Drawing Pencil to Pencil Drawings Home.